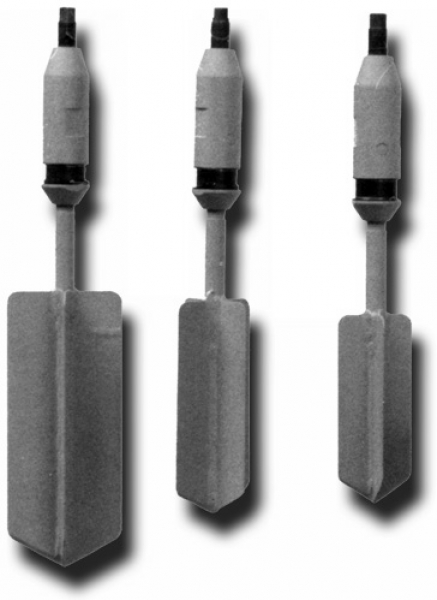 The M-1000 is a rugged vane borer used to determine in-situ undrained shear strength of clay. 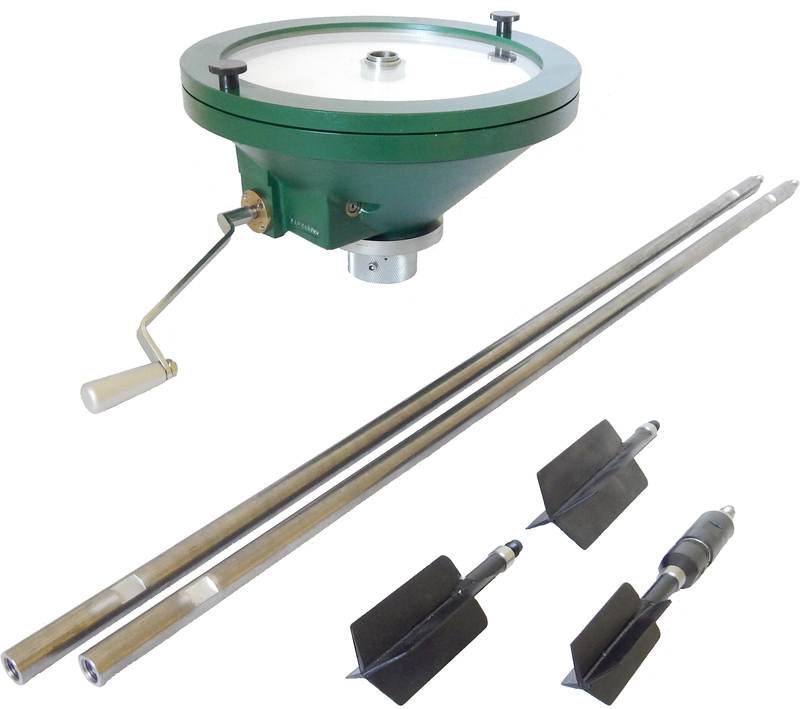 The M-1000 vane borer is a precision field instrument which consists of a torque recording head, boring rods, a specially designed vane, and a slip coupling. The system is supported by a torque head casing adaptor. The torque head is both a loading and recording instrument. It contains a crank-operated loading device by which the rods can be rotated at two different speeds. A complete, accurate and permanent test record is scribed by a sharp steel pointer on a waxed paper disc. The torque is recorded radially, and the angular rotation tangentially. A transparent cover protects the recording chart. A sample recording is illustrated on the overleaf. The vanes are made of high ultimate strength (1 700 000 kPa) tempered, chrome-nickel steel. A special slip coupling allows for using only one set of rods. The very low friction bearing in this sealed coupling permits a free slip, or “play”, of approximately 15° between the rods and the vane. During the test, the rod rotates first until the play has disappeared, after which the rod and vane rotate together. On the test record shown at right, Mf is the torque required to turn the rods only. The maximum torque required to turn both the rods and the vane is Ms. 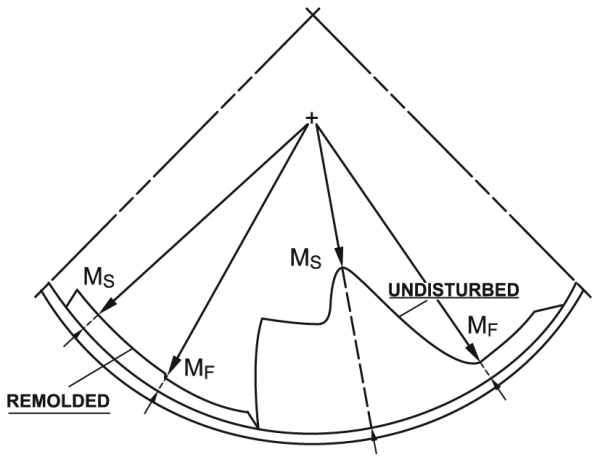 The difference (Ms − Mf) determines the soil’s shear strength. Note that the reduction in shear strength after failure is easily determined by a remolded strength test at the same test depth.